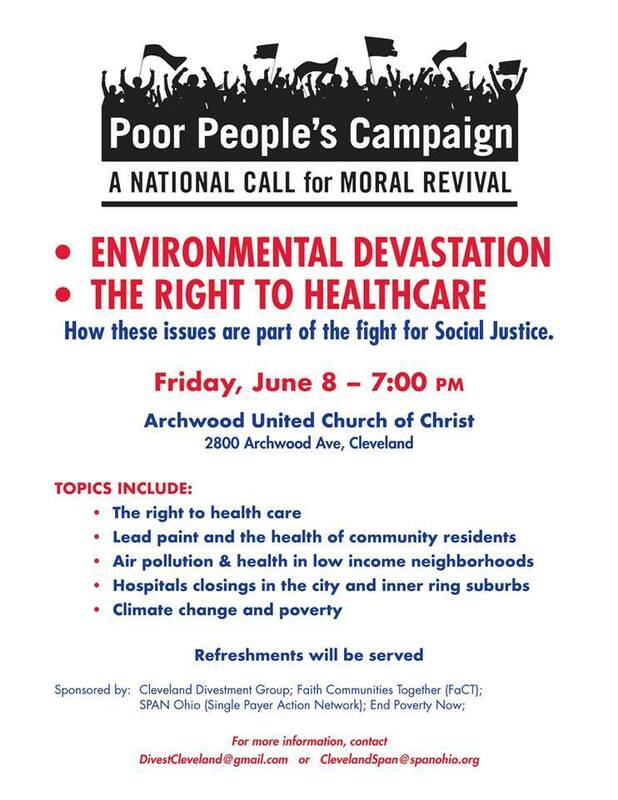 Join our panel discussion and presentation detailing how environmental pollution and the right to healthcare are part of the fight for social justice in Northeast Ohio. This event is part of the national Poor People’s Campaign. It is free and open to the public. Sponsored by West Shore FACT, Cleveland Divestment Project, End Poverty Now, SPAN Ohio, CLEAN, and NEO Sierra Club.